Home Shopping HOW DO YOU PUT ON AN IPHONE COVER? 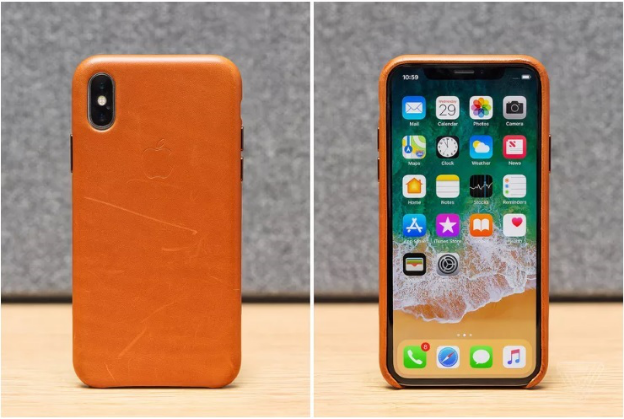 So you have finally chosen the perfect case from the many designer phone covers available and are now excited to try it out and show it off to the world. But after a few minutes of struggle, do you realize that putting on an iPhone cover is a lot harder than it looks? Yes, putting on an iPhone case for your device is a wise idea but it can be tricky. However, we have your back. Here is how you can put on an iPhone cover easily without causing too much of a ruckus. You need to make sure your precious iPhone does not slip or fall and get damaged when you are fitting a cover to it. Prior to putting on a case, make certain you carry out this process over a soft surface such as a soft fabric or pillow. In this way, any type of damage to your phone is avoided. It is always a good idea to begin with the top left corner of your iPhone first. This is the place where the volume buttons are located. See that you do not press the ring/mute button when you are putting on the cover. The last thing you want to do is create a scene by having your ringtone blaring during an important work meeting. It is now time to attach the other edges of the cover. To do this, lightly pull and clip the case around each corner of your device. Perform this routine in a clockwise manner, first from the top-left to top-right and then bottom-right and bottom-left. After fastening all of these edges over your iPhone, see that the cover is steadfastly in place. Sometimes fitting the last corner in place is a tough task. This is particularly true if the case is really snug. Instead of exerting too much force over it, make use of a business card. Sliding on the cover with the help of this card becomes much easier than using your hands. While the case is firm on the other three edges, gently put the business card into the gap between the case and your device. Lightly glide it along the edge of the iPhone so that the case is securely in place. Be certain that the iPhone cover fits your device snugly. While you need to make sure that it is not too tight, it needs to be secured in a way that it does not slip from the device. Only if the cover is entirely encasing the phone, you can know for sure that is firmly in place. iPhone cover protect your investment and at the same time give your device an individualistic look and feel. So now that you know how to fix them onto your phone, what are you waiting for? Go ahead and put on an iPhone cover for your device right away. You can find a wide variety of iPhone cases that come in various styles, patterns and colors. These cases are sure to be the ideal extension of your personality and bring about a uniqueness and grip that makes managing your phone a piece of cake.